We have 2 comments on the article of Ballantyne et al1 regarding the risk of myopathy with statin therapy in high-risk patients. First, in their discussion related to the interaction of statins with other drugs that interfere with cytochrome CYP3A4 pathways, the authors did not mention the interaction of statins with protease inhibitors, particularly ritonavir, a potent inhibitor of cytochrome CYP3A4.2 In fact, hyperlipidemia is a common metabolic complication encountered in human immunodeficiency virus–infected patients as result of treatment with protease inhibitors.3 In our experience, the degree of dyslipidemia is sometimes severe enough to require maximum doses of statins. 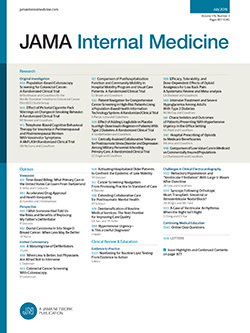 Preliminary pharmacokinetic studies showed an increase in the area under the plasma concentration time curve (AUC) of 32-fold for simvastatin and of 4.5-fold for atorvastatin when administered concomitantly with the combination of ritonavir and saquinavir.4 Conversely, a 0.5-fold decrease in the AUC was observed for pravastatin, which is not metabolized via cytochrome P450 CYP pathways.4 In another study,5 nelfinavir, a less potent P450 inhibitor compared with ritonavir,2 increased the AUC and the maximum plasma concentration of simvastatin by approximately 5 times. In the same study,5 nelfinavir increased the AUC and maximum plasma concentration of atorvastatin 74% and 122%, respectively. Furthermore, to our knowledge, at least 2 cases of rhabdomyolysis due to probable interaction between simvastain and ritonavir have been reported.6,7 Clearly, more pharmacokinetic and clinical data with respect to the interaction of other statins and protease inhibitors are needed. Until more information becomes available, pravastatin should be the preferred agent for treatment of protease inhibitor–induced hyperlipidemia, whereas atorvastatin may be used in submaximal doses (eg, ≤20 mg/d). Meanwhile, the concurrent administration of simvastatin and protease inhibitors must be avoided.